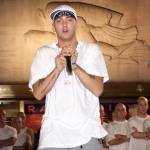 Eminem Details Alternate Version Of "Lose Yourself"
With an unreleased version of the song set to be released on Shady XV next week, Eminem admits to not remembering the recording of an alternate, scratch version of his hit single “Lose Yourself” in the latest promo for his label’s upcoming compilation album. The alternate version of “Lose Yourself” will live on the second disc of the upcoming Shady XV compilation release. In September, Eminem filed suit against New Zealand’s National Party for using “Lose Yourself” in a campaign ad for prime minister John Key. 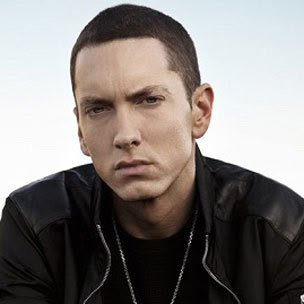 At the time, Eminem’s publishers were also seeking additional damages for copyright infringement over the the incident.